Picture an exciting outdoor market offering the perfect mix of great deals on stylish clothes and latest fashions, kitschy fads, antiques and curious baubles, as well as a lavish number of streetfood stalls and more contemporary open-air eateries and pubs, plus a strip punctuated by hip music and trendy crowds. 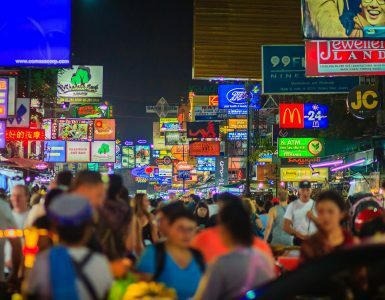 In fact, this picture describes perfect the carnival atmosphere of the hottest night bazaar in town, the new Train Night Market, or as it is also called, the Rot Fai Market — and in Thai, the Talad Rot Fai. In fact, it is the new Train Night Market. 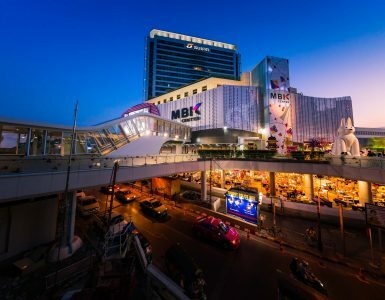 The older and larger one is located on the opposite side of the city quite out of the way on Srinakarin road, far out into the suburbs of Bangkok, which can be difficult to get to. 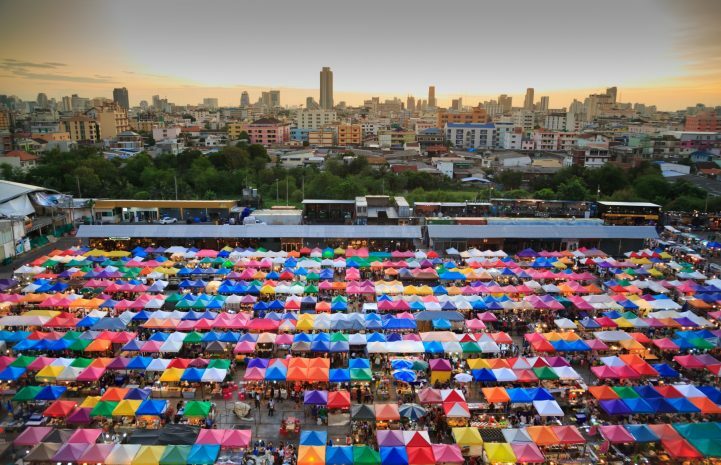 However, the new Train Night Market is instead very conveniently situated closer to the city center and right along Bangkok’s subway system, at the MRT Thailand Cultural Centre station. Simply get on the subway at your nearest stop, or transfer over to it from your nearest BTS Skytrain station. In no time at all, you will reach the correct station. 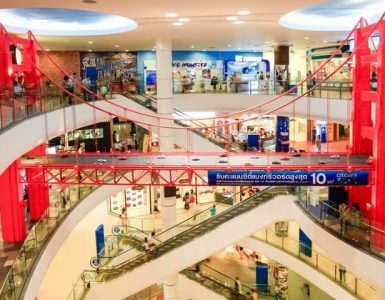 From there, find your way to the entrance soi, or make your way through the Esplanada shopping mall, which has a read exit directly out to the Train Night Market stretching out behind it, and you will soon enter a fabulous little world of fun and exciting shopping, eating and wandering around in sightseeing pleasure. Browsing around the new Train Night Market easily done and well worth the easy trip there. It is open Tuesday to Sunday in the evenings, from 5:00 pm till midnight. Be prepared for a bit of crowd, but not as oppressive as some of the city’s other outdoor bazaars. This one is a bit more upscale and you’ll discover antiques, toys, clothes and any number of fashionable and hard-to-find goodies on offer.